Want your kids to spend less time watching TV and more time playing outdoors? 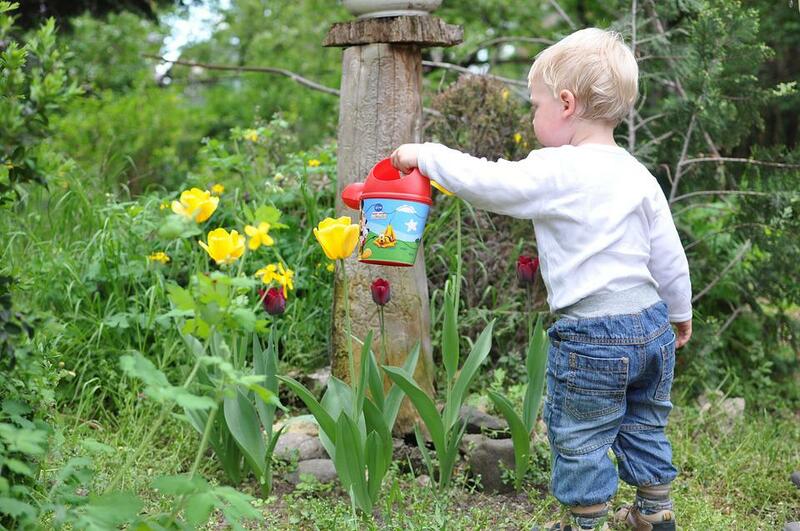 By making your garden more kid-friendly you may be able to encourage your kids to go outside more. Here are five ways to improve your garden space. Buy garden toys. Having some toys in the garden could motivate your kids to play outside. There are all kinds of toys for different ages. For younger kids, playhouses and sandpits are a great option. For older kids, consider buying a trampoline or a ping pong table. For the hot days in summer, it could be worthwhile buying some water guns and having a paddling pool. Try going shopping for garden toys and see what your kids want. You don’t want to waste money on a trampoline for it only to get used twice. Encourage wildlife. Children (and their parents) are often fascinated by animals. A great way to attract wildlife to your garden could be to build a pond. Even if you don’t buy any fish for it, a pond may attract frogs and dragonflies and other creatures (buying lily pads may help). Bird feeders; meanwhile, can attract various birds in the area – you could encourage kids to look out for certain rare birds to your region. You could even consider keeping some outdoor pets – a rabbit hutch could be a good project for keeping kids happy. Build a den. All kids love the idea of a secret den. If you’re DIY savvy you could consider building a treehouse. These can be time-consuming projects and may require planning permission from local housing authorities or community organizations, but are sure to be very rewarding for kids. For a simpler den, you could simply put up a tent at the end of the garden. You can put it up with the kids to help encourage them that it’s their space in the garden. Consider then buying a few things to put in the den such as snacks, board games and other toys. This den could be a great place to store various outdoor toys and make this their muddy shoe storage zone! Remove garden dangers. Whilst most kids won’t be too concerned about garden hazards, you may want to attend to this for your own peace of mind. You may want to remove any hard surfaces such as concrete and gravel and replace them with something softer. Materials such as poured rubber playground surface cost very little to lay down, whilst woodchips can also be a good option. These surfaces are especially worthwhile having below climbing frames and swings. Make sure that any garden tools such as shears and shovels are locked away as kids may be tempted to play with these. Kids are likely to be sensible when it comes to ponds, although for younger kids you may want to put up a small fence to act as an access barrier. Get kids into actual gardening. Another way to encourage kids to go into the garden is to get them into gardening. You could encourage them to grow their own plants. This could include vegetables or herbs and spices. Kids may simply like to help out in activities such as digging or watering plants.